Qormi have completed the signing of Matthew Bartolo from Sliema Wanderers, the Premier League club announced yesterday. Bartolo has secured a permanent deal with Qormi after leaving a positive impression during his short-term loan spell with the club last season. 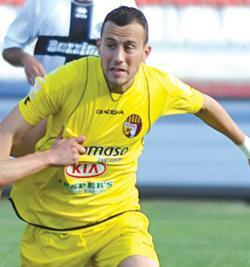 Qormi have long been engaged in discussions over Bartolo’s transfer and an agreement was finally reached last weekend. At Qormi, Bartolo, who came through the youth ranks of Hibs, will again work under tutelage of former Sliema coach Stephen Azzopardi who is now in charge of the Yellow-Blacks. Meanwhile, experienced defender Julian Briffa has agreed to join Sliema Wanderers on a one-year deal. Briffa, who was a free agent, was due to report for his first training session with the Blues yesterday. The Wanderers, who last weekend finally received the keys of their new training complex at Tigne, are currently giving a trial to Brazilian midfielder Jackson Lima who earlier this summer had a training contract with Ħamrun Spartans but failed to earn a deal.